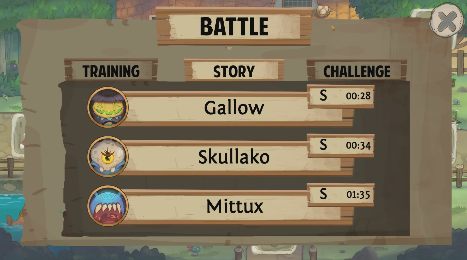 New challenge bosses have been introduced into Bound By Blades. Major updates and additions made to their attacks, making them much more deadly than the normal forms. 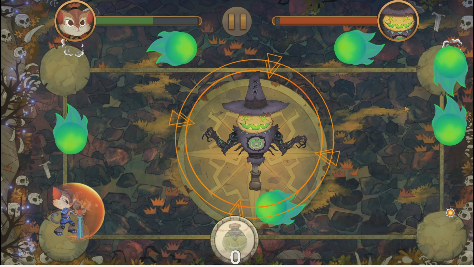 Challenge Bosses The challenge bosses are fully modified variations of the core bosses. Along with increased power and variety, they're given massive changes to their abilities. A small additional piece was updating the previous temp art for projectile attacks, now with more final art but temp animations in. - Spawns as 3 small slimes, instead of as 1. 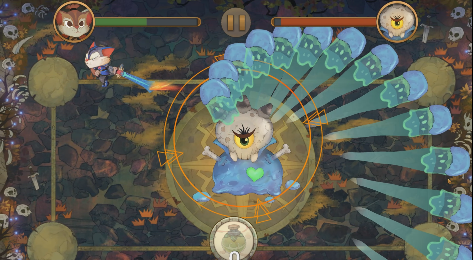 Joins together when multiple are killed, creating bigger slimes compared to normal version that splits when killed instead. - Has 4 minis that surround him, compared to normal with only 2. - Charge Blast launches 2 minis onto opposite corners, blocking the player, compared to normal that now shoots only 1 out. - Blindness (When all eyes/minis are killed), now causes Mittux to shoot arc waves randomly at the standpoints, and now he can do charge blasts while blind, where he rotates in full circles until landing on a random standpoint to blast at full power. For the challenge bosses, there have been a large amount of tweaks in general to ensure a smooth system of combat, along with not requiring a massive amount of grinding to feel powerful enough to take them on. 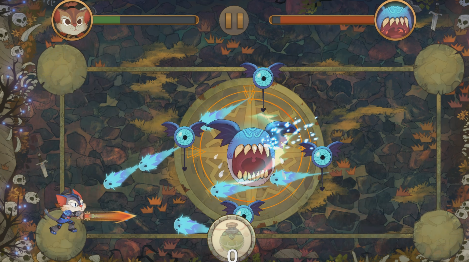 - Teo's abilities for dodging and running have been sped up so gameplay feels faster. - Gear upgrades set at a maximum of level 5, down from 10. This helps reduce the grind to reach maximum level. - Upgrade costs have been reduced to speed up the overall process. - Mittux (normal) was given a few nerfs to ensure a better ramping of difficulty to him as only the third boss. - Tabs now show for Story, Training, and Challenge bosses. - Training options have been re-enabled after completing them to practice and remember them as needed. - New pop up when making a selection, showing the boss details including a description for the boss and if they've been defeated, a rank and time for your best battle against them. We're aiming for Kickstarter and we need all the support we can get to succeed! An indie game inspired by the Monster Hunter series in the making means I'll always look forward to it. Playing as a cute warrior kitten is a breath of fresh air from all the traditional humanoid characters. Hope to see more of Bound By Blades. Hey, thank you so much, that means a lot!